A young Executive Director was hired to stimulate economic growth, create community and build trust by leading a long-standing board of directors. Thrown into a situation in which she was forced to contend with existing conflict and dysfunctional preferences in regard to the board’s mentality, she knew she had to figure out a way to navigate the diverse range of personalities and build trust while creating win-win relationships between all participants who held the key to her success. But how could she be all things to all people? Quite simply, she couldn’t. Using leadership and communication techniques learned through the Coach Training World, the Executive Director established proactive relationships with her board as well as key stakeholders that impacted her ability to do her job and support the community. By bridging the gap with the very people that hired her in the first place, she was able to guide them as a whole toward a windfall of efficiency and create improved services for the community. Simply put: new leader vs. seasoned board – with strong personalities, differing agendas and the impossible task of generating interest, buy-in and support for an extremely economically-challenged area. The seasoned board of directors consisted of members who had managed to retain their positions for years, primarily to further their own business interests or development agendas. Accustomed to bargaining in return for their vote, many of the board’s 25 members had grown frustrated with differing viewpoints, fostering an ineffective legislative process. Despite a county-wide need for building resources, educational funding and other services, what little funding the county did receive was continuously fought over, resulting in huge delays and the allocation of funds to non-essential projects. Serving in her first “real” publicly-nominated leadership position, the optimistic Executive Director (currently in her early-30s) was a new leader confronting a deeply-entrenched board. To get the system back on track and initiate changes that would benefit the largest cross-section of the community, she knew she had to figure out a way to navigate the diverse range of personalities, building trust while creating win-win relationships between all participants. And so the Executive Director passionately devoted herself to finding a solution. But after reading a plethora of management books and listening to countless online seminars, she was still no closer to developing the tools necessary to effectively overhaul the system. How did Coach Training World help? The Executive Director was committed to the best practices for leadership and highly motivated to succeed. She approached Feroshia Knight – founder of Coach Training World – to help her develop the confidence and skills necessary to create lasting change within her community. CTW trained her in a collaborative approach, instilling the tools of authentic communication that would allow her to speak openly and honestly while being heard by others. Within the system, we incorporated skills that included: engaging in courageous conversations, making critical decisions and delivering presentations with an authentic voice. We also focused our efforts on developing with the ED best practices of leadership, including trust, transparency and consistency in actions. Also utilizing our coaching and leadership methodology, we were able to assist the Executive Director critically examine the way relationships are interconnected while determining who the key stakeholders were and how best to go about building a system of trust to bridge the gap between them. In short, she learned to listen and discover what people really wanted – viewing them as whole – not just reacting to the emotions she saw on the surface. To engage the Board in the leadership development process, we cultivated a strategy where the Executive Director would build relations with key players and influencers, employing her new skills to create the trust needed to have the tougher conversations, with a mutually-beneficial “win-win-win” in mind. Forming these bonds one-on-one provided a more personal approach to the task of relationship building, an essential component for success in the case due to the previous environment of mistrust. With pre-established relationships, the Executive Director was more effective at gaining the trust of the Board, based on the foundations she’d built with each member. As a result, she was able to guide the group toward a wider vision of how the community as a whole could best be served. Whole System Development was the key to success in the case. Clear, authentic communication was used to move forward and break through a system that had decayed to the point of stalemate. Careful attention was placed on examining the inter-relatedness of the individuals as well as their respective needs and strengths. And by noticing the patterns of habit and discovering ways to move toward more productive mindsets and communications, the process became manageable and the unimaginable tangible. Overall, the process was extremely successful. Since putting her new-found skills into action, the Executive Director discovered the courage to speak up in places where she knew she’d meet with resistance. And she did so with confidence. In addition, she’s taken meetings with influential agencies and planning officials to better understand the issues and co-create new possibilities for the future. All of the has resulted in a windfall of efficiency for not only the board but the community as a whole, including additional funding to develop their basic infrastructure as well as the collaboration between local businesses and available resources. Most importantly, the Executive Director has earned the trust and respect needed to operative effectively as she continues to push for greater development, improved services and additional sources of revenue. Finally, based on the experiences detailed in the case study, there is currently a potential initiative to fund a business development effort to train the local businesses in regard to marketing and leadership – extending the skills to even more people and thereby greatly increasing the benefits. A life-long learner, the Executive Director continues to develop her skills, checking in with us every few months for a reboot session – a clear indicator of a strong, courageous leader with a bright career ahead of her! 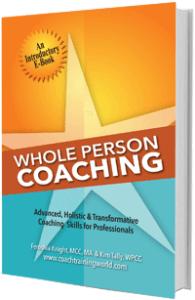 Note: Coach Training World provides ICF-accredited services related to interpersonal communication, self-improvement and business development. Given the highly-sensitive nature of our services and the broad range of individuals they support, we have intentionally declined to mention our subject and all other individuals involved within the case study by name.